BALTIMORE, MD (AFRICAN EXAMINER) – Despite declaring its Director Nnamdi Kanu wanted, the Indigenous People of Biafra (IPOB) has announced the launch of its Hausa Radio Service. The Spokesman of the group Emma Powerful dropped this hint in a statement he issued Thursday. Mr. Powerful confirmed that the radio would hit airwaves Saturday, January 6, 2018, at 7pm Nigerian time on Short Wave 15110 KHz 19 Meter Band. 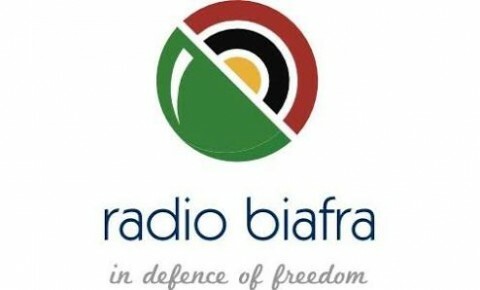 “In keeping with our promise to facilitate the creation of an unbiased informative platform to take the message of liberation to the down trodden and oppressed indigenous populations of Northern Nigeria, we the family members of the Indigenous People of Biafra (IPOB) worldwide and it’s indomitable leadership, wish to happily announce the official launch of the much anticipated IPOB sponsored Radio Nigeria Hausa Service. “The broadcast will have the widest coverage of any radio signal in Africa. It will be received all over West, East and Southern Africa. 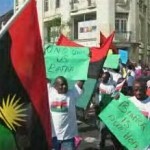 Every Hausa speaking community in Africa will be able to receive it” the statement confirmed. 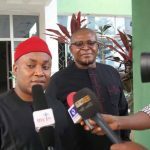 IPOB contended that the information deficit is what Radio Nigeria Hausa Service has come to rectify. The statement added: “All the hitherto hidden history of the conquest of indigenous Hausa speaking populations of the North will be laid bare for the world to know. ”More importantly, enslaved minorities of Arewa North, brutally savaged by Fulani terrorist herdsmen, through this unbiased platform, will acquire the necessary education needed to liberate them from the suffocating stranglehold of the caliphate born to rule class”. 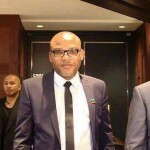 Kanu was arrested in a Lagos Hotel alongside three other suspects over alleged operating an illegal radio station and leading a proscribed body.